Do you feel self-conscious because bad acne left scars on your face, back, neck or shoulders? 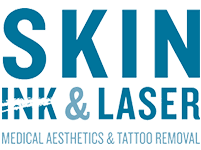 The compassionate and skilled team of nurses and estheticians at Skin Ink & Laser help men, women, and teens in Fayetteville, Arkansas reduce acne scars. To improve your complexion, call the office for a complimentary consultation or book your appointment online. Acne is an inflammatory skin disorder that causes pimples, pocks, whiteheads, cysts, and blackheads on your face, shoulders, back, arms, and chest. It’s the most prevalent skin condition and affects more than 50 million men, women, and teens. Overactive sebaceous glands block hair follicles with oil and skin cells and lead to acne blemishes. Changes in hormones increase oil production and make teenagers and women in menopause especially prone to outbreaks. Other factors that prompt acne eruptions are lack of sleep, poor diet, and stress. An inflamed lesion, such as a pustule or cyst, can leave behind a scar when it becomes overly clogged with bacteria, pus, and dead skin cells. When the lesion pops under the skin rather than at the surface, it can damage skin tissue and result in scarring. The expert nurses and experienced estheticians at Skin Ink & Laser use PicoSureⓇ advanced laser technology to reduce and fade acne scars. Light energy is deployed in picoseconds -- a trillionth of a second -- deep into your skin’s tissue and cells. The process forces new skin cells to replace old scar tissue. What results can you expect after acne scar reduction treatment? A nurse or clinician meets with you to analyze the condition of your skin and customize a treatment plan, so you know what to expect. PicoSure laser scar reduction treatments rejuvenate your skin. As new cells develop over time, your acne scars subside and gradually fade away, resulting in improved texture and tone. What should I expect during a PicoSure acne scar reduction treatment? The high-tech PicoSure laser delivers gentle pulses of light energy. The procedure causes only mild discomfort and most patients at Skin Ink & Laser tolerate it well. To help with the tingling sensation, your skin esthetician rubs a topical numbing ointment on the areas designated for PicoSure treatment. There’s no downtime associated with PicoSure acne scar reduction treatments. You can return immediately to work, school, or home. When you’re ready to restore vitality to your skin and improve the appearance of acne scars, call Skin Ink & Laser or book an appointment online.